Escape to a grande place where the soul is nourished, the spirit is revived and the body is transformed. Embark on your journey of natural rejuvenation where the path to a more satisfying sense of well-being awaits you. Natural elements are introduced from the outside and incorporated into all therapeutic and beauty treatments. An oasis of citrus and honey ignites the senses in all of our Signature treatments while the skillful touch of our professional therapists indulge the body. The sensation of this moment is what counts. The past is soon forgotten and the future is an opportunity yet to be realized. The Ritz-Carlton Spa, Orlando features 40 treatment rooms, a private 4,000-square foot heated outdoor lap pool, a boutique and a café, all intended to create an atmosphere of total relaxation. To complement its extensive spa offerings, The Ritz-Carlton Orlando hosts a variety of activities for the adventurer and leisure traveler alike. Thrill seekers up to the challenge can take on the ropes course and zip lines. After playing the links of the hotel's Greg Norman-designed 18-hole, par-72 course, guests can retreat to the relaxing hotel pool. Three tennis courts and a 6,000-square-foot fitness center are also on site for the sports enthusiast; exercise classes include boot camp, Epic Cycle, Insanity, TurboKick and Zumba. The concierge is available to arrange fishing, bird watching or Eco-Tours on Shingle Creek. The Ritz Kids program is offered for the hotel's younger guests, and families can plan day trips to local theme parks like Walt Disney World, Universal Orlando and SeaWorld, located minutes from the hotel. 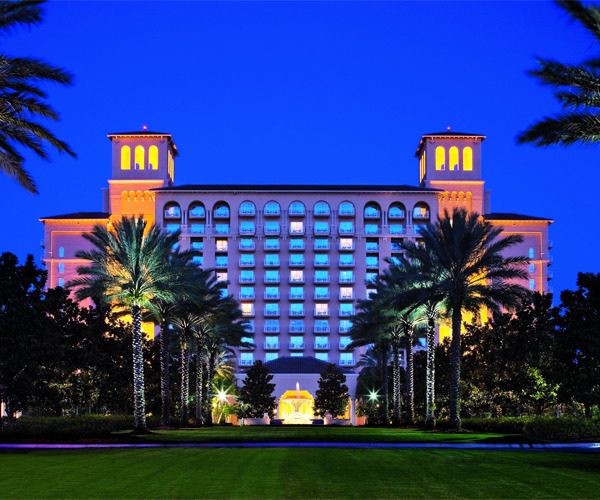 The Ritz-Carlton Orlando features 582 guest rooms, including 60 executive suites, two presidential suites, one royal suite, and 56 club level rooms. All rooms are well-appointed with spacious marble bathrooms and private balconies overlooking the hotel's landscape of gardens, pools, and lakes. Internet access, iPod docking stations, 37-inch flat-screen TVs, and dual data ports are among the high-tech amenities. Twice-daily housekeeping and 24-hour in-room dining services are available. 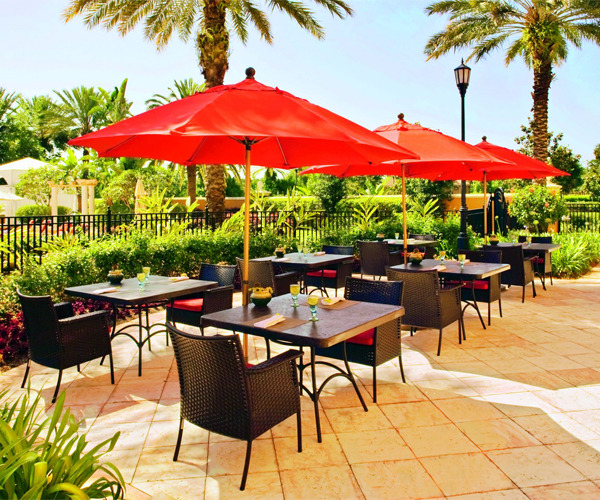 The 11 on-site dining options feature cuisines and settings to satisfy all culinary enthusiasts. Highlights include the poolside Bleu restaurant and bar and Primo, which serves contemporary Italian dishes prepared with ingredients from the property's organic garden. For fine dining, NORMAN’S is a popular venue, featuring James Beard Foundation's award-winning Chef Norman Van Aken's New World fare with a twist of the region's culture. Light fare is offered at Vitale, Spa Café.